1. All features now support External references. For external reference, now you can select Faces (all types), Edges (all types), Vertices, Sketch Entities (all types), Reference Entities (planes, points, coordinate systems, axis). You can now create a linear or circular pattern of components in an assembly. From within the context of assembly, you can now mirror components about the selected plane or optionally constraint them to remain symmetrical. 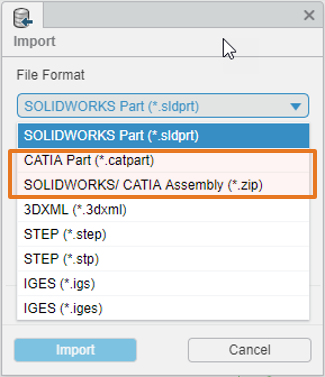 Using CATIA V5 and want to bring parts and products created in CATIA V5 to SOLIDWORKS xDesign? Now you can right from the Import dialog*. 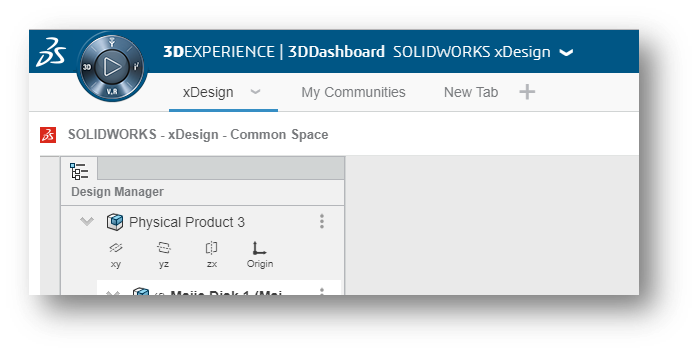 The 3D Interconnect feature in SOLIDWORKS now supports SLDXML which is the native format in which you export out xDesign model data. 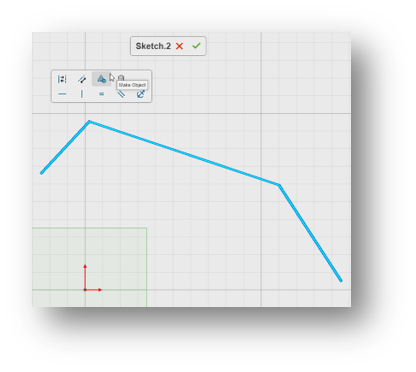 This further improves collaboration between SOLIDWORKS and xDesign. When sketching, many times we have to draw multiple circles – all with the same radii. Now, as you sketch circles, you will be delighted with the equal constraint feature which lets you quickly snap the circle to the visual inference and constraint it to same radius as the last one. Additionally, when sketching a circle if you hover over other circular geometry, you will see an inference line to size the circle equal to the radii of that circular geometry. Talk about being fast! 7. Make Objects – You can now create objects from group of open entities. One of the cool features of xDesign is that it automatically locks components from modification when it is being worked on by a user or when it is in a particular maturity state. 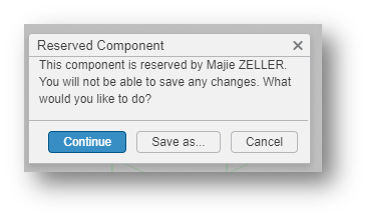 Now, an improved dialog better informs users that the component is reserved and provides a choice to perform a save-as. This lets the user make changes to the copy. All input fields that accept numeric input let you do math operations. No need to have that calculator on the side for quick math. 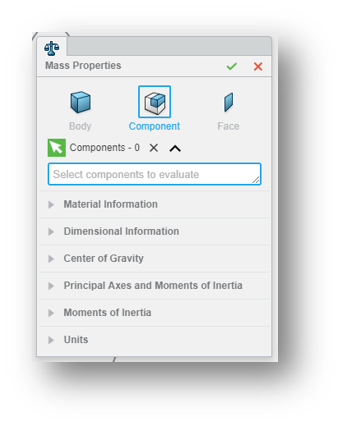 Now you can export xDesign models in 3DXML format. 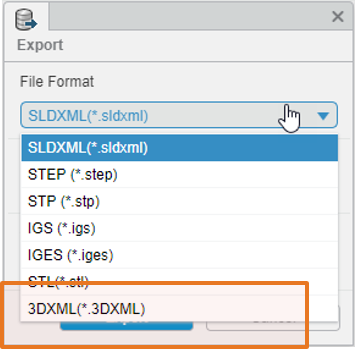 3DXML is the native 3DEXPERIENCE file format that allows to exchange data between different 3DExperience platform (public or on-premise). Divi is a Senior Manager, Product Portfolio Management at SOLIDWORKS. He is passionate about how new technologies are coming together to change the way how products are designed, made and sold and engaging/teaching kids in STEM activities. Divi graduated from Indian Institute of Technology (IIT) Bombay with a dual degree in Mechanical Engineering and a Masters degree in Engineering from University of Texas at Austin.